WIN! An Elizabeth Arden Skincare Hamper Worth R3000! Good morning, everyone!! It feels SO good to be publishing a blog post again after such a long time – if you don’t follow me on Instagram, then you probably don’t know what has been going on this past year. If you’re interested, though, you can go check out the ‘Personal’ highlights folder on my Instagram account (that should explain why I’ve been away for so long). Anyway, I’m back…with a FANTASTIC GIVEAWAY! Now, first things first: Have you watched the YouTube video I posted on Monday morning? It’s an evening skincare routine featuring the brand new Elizabeth Arden Retinol Ceramide Capsules, plus some other skincare favourites. I won’t go into too much detail in this giveaway blog post, because the video provides you with everything you need to know about these Retinol serum capsules. Trust me, Retinol is definitely a star ingredient you want to incorporate into your night-time skincare routine – whether you’re in your mid-twenties or in your sixties! It’s one of very few skincare ingredients that tackles most (if not all!) skincare concerns: Acne, hyperpigmentation, loss of plumpness, texture, enlarged pores, sallowness, and fine lines & wrinkles. How’s that for an epic spoil!? To enter, all you have to do is complete your chosen entries via the Rafflecopter widget below. Easy, peasy…lemon squeezy! → This giveaway is open to South African residents over the age of 18 only. → Please ensure your email address is correct when entering the giveaway. → The giveaway will run until 11:59pm on Friday, 16 November 2018, with 1 winner being selected at random shortly afterwards. I always announce the winners of my giveaways on Instagram, Facebook and Twitter, so make sure you follow me on those social media platforms. → If no reply has been received 7 days from the initial winner announcement, another winner will be randomly selected. → All entries will be checked and any false / spammy entries will be removed. → Elizabeth Arden South Africa is responsible for delivering the prize to the winner – delivery can take anywhere between 1 to 2 weeks. Disclaimer: This giveaway is in sponsored collaboration with Elizabeth Arden South Africa. Looks like an amazing product. Extremely useful content as per your norm! Welcome back, we have missed you! I would love to try this range, it looks amazing!!!!!!!! Ah I’ve been dying to try those Retinol Ceramide Capsules!! Fingers crossed I can win an early Christmas gift! Hey! Love the YouTube vid! I’m most excited to try the Elizabeth Arden Advanced Ceramide Capsules Daily Youth Restoring Eye Serum from the giveaway! I love this giveaway! Looking most forward to the Elizabeth Arden Retinol Ceramide Capsules Line Erasing Night Serum! Good luck to everyone! Oh my goodness, would looove to win Line Erasing Night Serum Caps ! Gosh, it’s nice to have you back! these retinol ceramide capsules seem amazing. I would love to try the Line Erasing Night Serum. I’ve heard such good things about Retinol. P.S. Good to have you back. What a wonderful prize!! !Holding thumbs!!! Oh my gosh, yes please!! I think it’s time I need to serum it up. Amazing products ! Would love to win to pamper my skin. I am dying to try Retinol Ceramide Capsules Line Erasing Night Serum. I’ve been eyeing this every time I walk past an elizabeth arden stand!! I would love to try the Elizabeth Arden Advanced Ceramide Capsules Daily Youth Restoring Serum! I would love to try out the Retinol Ceramide Capsules night serum , something I have definitely been eyeing since the launch ! This looks like such a cool product from Elizabeth Arden! Holding thumbs! Would LOVE to try the Erasing Night Serum! I have always dreamed of using these products, I really hope I win! Happy you are back with some great reviews! The serum does look like something I have to add to my routine. Welcome back 🙂 I have heard such great things about the Retinol Ceramide Capsules and would really love to try them!! Fingers crossed. Love to try the Elizabeth Arden Retinol Ceramide Capsules Line Erasing Night Serum. Loved the video and review interesting and enlightening thank you. 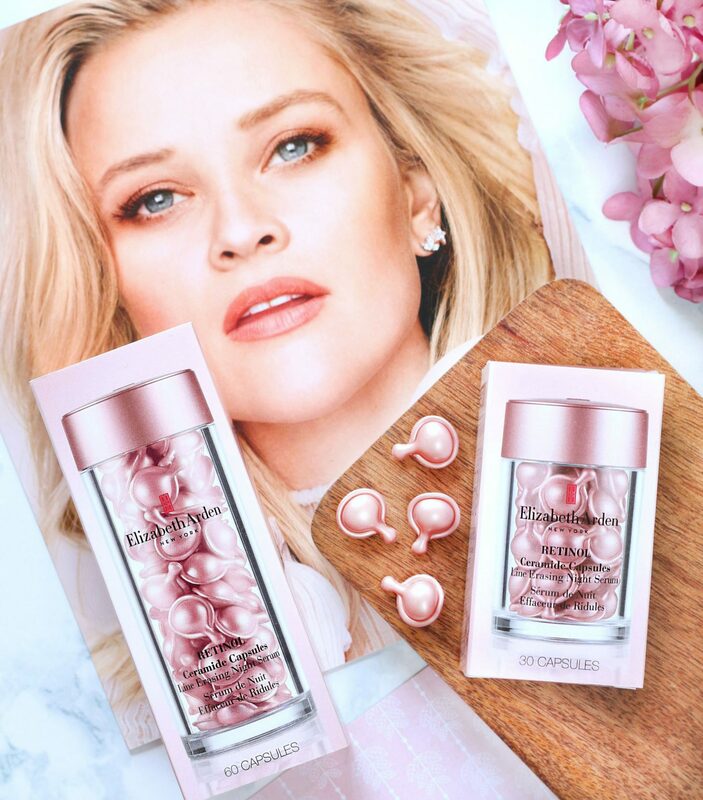 Im obsessed with the Ceramide range so would LOVE to try the new retinol capsules! How divine! Would love to win this amazing prize. After having my first baby my skin has been left in a proper state. I would love to see how EA can help my skin to be better than it was and make me feel great again. So happy you back to blogging! I would love to try the Elizabeth Arden Retinol Ceramide Capsules, the night time serum ones! Wow…. This will end of my year on a high note. This is a fantastic giveaway and I am so happy for you that you can return to the blogosphere with such a big bang! I have been incorporating Retinol in my skincare routine for a few years now and am keen to add the Elizabeth Arden ceramide capsules. These products sound like they are just what I’ve been looking for. I’m most excited to try the retinol cerimide capsules! I absolutely love Elizabeth Arden! I’d love to try the Elizabeth Arden Retinol Ceramide Capsules Line Erasing Serum. I am turning 30 years old this week and the Retinol Ceramide Capsules Line Erasing Serum would make a wonderful addition to my skincare regime! Def the Elizabeth Arden Retinol Ceramide Capsules Line Erasing Night Serum! Now that I am in my 30’s I am noticing my lines are starting to appear 🙁 I am glad you are back to blogging! I have missed your posts! This is a fantastic giveaway, super excited!! I’m super excited by this product, I know that most of the repair work in the skin happens while we sleep, so for me its the Elizabeth Arden Retinol Ceramide Capsules Line Erasing Night Serum. Im noticing fine lines all around my eyes and because I wear glasses, i feel like its magnified. Would love to share this with my mom as well. Welcome back! I am excited to try the Elizabeth Arden Retinol Ceramide Capsules Line Erasing Night Serum! Firstly, it is so good to have you back. After being a loyal Pink Peonies reader for years it is so wonderful to see your content coming up on my social media again! Know that we support you and send you all our love! Onto EA, I am most excited to try the Advanced Ceramide Capsules Daily Youth Restoring Eye Serum. My eyes have always been my problem area so I’m always keen to try something new on them. I am so glad you are back. I really missed your blog so much. And what a wonderful way to get back into it. I would love to use the eye serum as I’ve noticed the fine lines apprearing. Have heard rave reviews about this product. Excited to try out the Retinol Ceramide Line Erasing Night Serum. Sounds promising and about time I include a serum in my routine. Thank you for the in depth video and review. Im sooo excited to try the ceramide night serum. Would love to try this range. I’m edging on 35 and I can see my skin is changing. I have not found anything significant as yet and I hope this will be the one, so I am keeping my fingers crossed. Wow…this is so exciting. Would love to try the line erasing night serum. I absolutely love Elizabeth Arden products. They are the only ones that I get the advertised results on and I’m really excited about the new ranges. 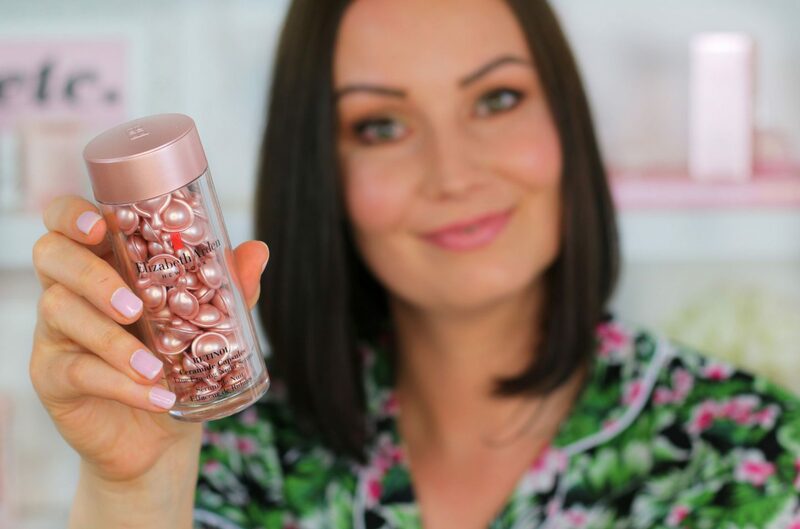 I would absolutely love to try the Elizabeth Arden Advanced Ceramide Capsules Daily Youth Restoring Eye Serum – my eyes give too much away!!!! So happy to have you back and blogging! What a way to start! Looking forward to great content . Welcome back. Can’t wait to try this product. 🙂 specially The Elizabeth Arden Advanced Ceramide Capsules Daily Youth Restoring Serum. SO noce to have you back! I have never tried any Elizabeth Arden skincare products, so I am excited and curious to try any (and all!) of their products. They sound AWESOME! I am soooo happy you are back!!!!! Missed your posts so much! Thanks for the giveaway, but the best prize is that your back! Wow!!! Welcome back…. And thank you for this opportunity .u would love try this! I’d like to try the Elizabeth Arden Advanced Ceramide Capsules Daily Youth Restoring Eye Serum. I’m most excited to try the Elizabeth Arden Advanced Ceramide Capsules Daily Youth Restoring Eye Serum. Wow these products sound amazing I am so excited to give them a try! The Elizabeth Arden Retinol Ceramide Capsules Line Erasing Night Serum !!! What a gorgeous prize. I would love to try the Advanced Ceramide Capsules Youth Restoring Serum! They look like little rose gold parcels of love! indeed an epic giveaway! Most definitely want to use these products after watching your video on YouTube. Thank you for sharing. Love the Retinol Ceramide Capsules Line Erasing Night Serum! Are the products hypoallergenic? Elizabeth Arden Retinol Ceramide Capsules Line Erasing Night Serum looks amazing, I would love to try it! Thanks for letting us know about it Luzanne! Would love to WIN this to look this beautiful! Would love to win these for my momma. She’s has a hectic year and she spends all her time taking care of everything for everyone else and kind of dismisses her own needs. Something like this would be a really special treat for her (and I might steal a capsule or two to erase the effects of a pretty vicious exam season). What a nice price. I would love to try out the retinol capsules. So excited! OMG I’m so hyped about this product and would love it for those tired lines that need to be laid to REST! I have always been a fan of the original, and would definitely love to try this version. I only found out about it from your posts and then started to see the adverts! Keep up the good work and welcome back!!! From this race review, I can tell that this one’s for me. Would love to win. I would absolutely LOVE to try the Retinol Ceramide capsule Line Erasing Night Serum!! What a treat to add to my evening regime! I’m most excited to try the Retinal Creamier capsules. I have been looking for an intense and deep penetrating serum as I have dry skin and I am starting to get fine lines and wrinkles at 30 so I meed to nip it in the bud. This look fantastic and I am very keen to try the Retinol Ceramide Capsules!! I have never used EA before so very excited! Just got a tester pack of the Retinol Ceramide Capsules to try and absolutely love it. First time using Elizabeth Arden and starting to love it. This is so incredible! Fingers crossed. I’m such a skincare junkie. Always on the hunt for a good retinol. I’d love to win this! I would love to try the Elizabeth Arden Retinol Ceramide Capsules Line Erasing Night Serum 60pc worth R965,00 most. Oh wow! This looks like such a potent product. So happy to see you back and dying to try these! So glad that you are back!!! Thanks for another fabulous collaboration and giveaway. I would love to give these a try as I’ve been a long time fan of the original Elizabeth Arden ceramide capsules. Can’t wait to try this product! Thank you for the informative video! I need these in my life, from pain daily – I kind of wrinkle up my face with pain – I would be forever grateful – Thanks Luzanne you always have fabulous giveaways but this is #PinkGold. I posted a message you may not see about the difficult time you’ve had – I wish people would respect one’s privacy – it’s yours to deal with – thinking of you as I feel it’s not an easy situation at all – Strength and Blessings! I can only trust things work out for the best .